be all over this look. Have you ever tried them, or are a pair of table lamps more your style? Love them and the symmetry speaks my name... I almost always prefer a set of lamps than just one! I have one vintage floor lamp that I'm using right now. My friend has a pair of floor lamps flanking her sofa table behind the sofa and they are fantastic! I have never though of using a pair. What a great idea! Yes, love them. I'm always into symmetry! I usually think of twin table lamps, but this looks awesome. 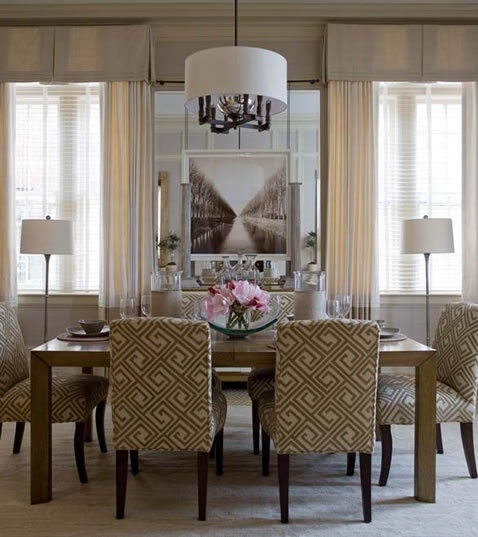 I love symmetry with lamps even when nothing else is symmetrical.. Have a great day. I like the symmetry and I also love that first photo! I have never thought of that but looks great! Symmetrical lamps just make everything else in a room make visual sense for some reason. A friend told me she hated symmetry in her house....WHAT? 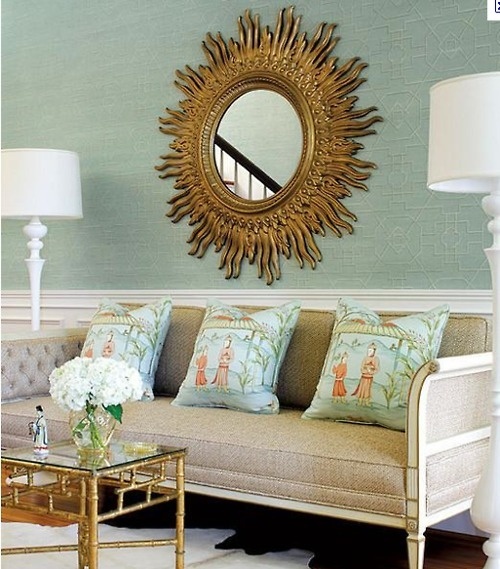 I love symmetry in a house! I am in love with the feminine and elegant living room with the chinoiserie pillows. 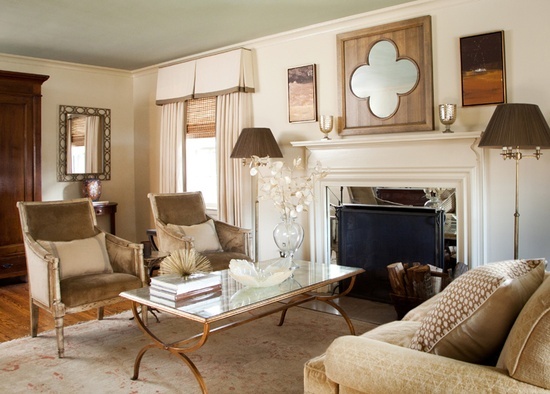 And the ceiling color and creamy walls of the quatrefoil mirror living room. You always come up with new images I have not seen before, Pam! Aww,twins...my friend who has three grown boys keeps threatening her husband with adopting a baby girl! I bet you can relate! There's definitely something to be said about balance. I could totally see you as a mom of twins. Too funny! I think the balance creates a peaceful look. Now I wish I could find the twin to the one I have! Oooh that last one is my favorite. So glamorous! I like them! Never considered them. 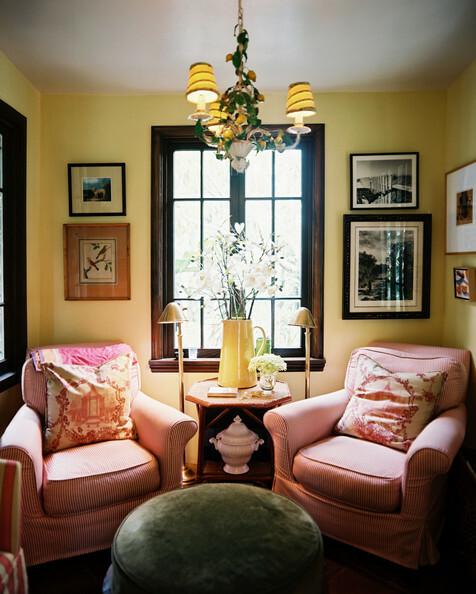 I especially liked the ones in the dining room photo. 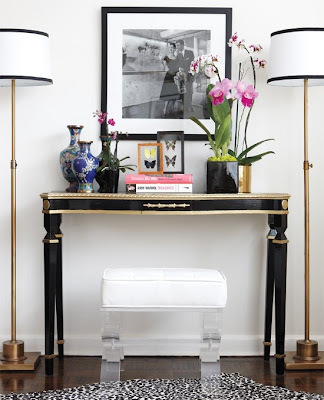 i think i am definitely more a pair of table lamps girl, but i have to say i do love symmetry. Twins are looking very elegant in your picks here :)Symmetry is always very pleasing for the eye. i did that in my last clients home...it looked fabulous! I am all about symmetry so this is definitely up my alley. 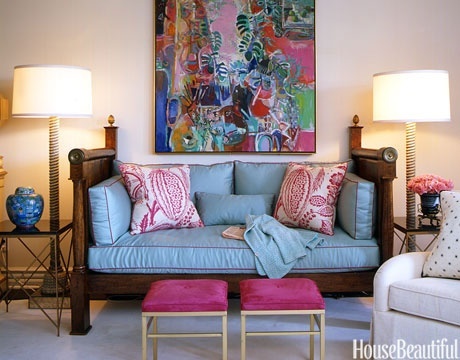 I've used identical table lamps but the idea of floor lamps is more appealing than I can even begin to express. I think it just may be what we are looking for in our own living room! Once again you continue to inspire!! Thank you! !